Fortes, W.R, & Batenburg, K.J. (2013). 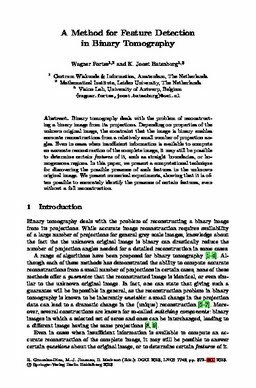 A method for feature detection in binary tomography. In LNCS (pp. 372–382). Springer.